Last week, Bangladesh Prime Minister Sheikh Hasina expressed her dismay at the stalemate on the repatriation of the Rohingyas. “We've been making various efforts… but there has been virtually no progress,” she said. A day earlier, her foreign affairs adviser, Gowher Rizvi, called for re-imposition of sanctions against Burma. “Without pressure, nothing will happen. Myanmar won't be secure for the Rohingyas. If Myanmar is not secure, Rohingyas will not go back,” the adviser noted. Underscoring the severity of the situation, Rizvi went on to state, “If Myanmar can get away [with that], there will be no security of minorities anywhere in the world. So, we really need to wake up,” he said, calling for “extraordinary international support” for the Rohingyas. So far Burma has cleared some 600 cases for repatriation in response to Bangladesh's supplied list of 8,030 names. The former accused the latter of not adhering to the terms of the agreement in preparing the list. Dhaka rejected the allegation. It feels betrayed by Naypyidaw's machinations to stall the much-desired repatriation. Included in those are: coming up with new demands and inordinate delay in verification. The core of PR2PH plan is the declaration of northern Arakan as the Rohingya Homeland, the ancestral home of the Rohingya, protected by international forces and ensuring the return of 1 million Rohingyas from Bangladesh and other members of Rohingya diaspora who fled what Amartya Sen and Desmond Tutu had termed as “slow burning genocide” to Arakan permanently, or on a temporary basis, to rebuild their homeland through self-rule. It will also entail setting up a demilitarised zone south of Maungdaw ensuring that no Tatmadaw forces are present in the region. Such an arrangement will address the Rohingya's existential need for an internationally protected homeland in northern Arakan within the Union of Burma. The idea of re-establishing Rohingya homeland, though conceived by the Rohingya leaders, was neatly articulated by Irwin Cotler, a Canadian constitutional lawyer, war crimes justice and legal counsel of Nelson Mandela and Andrei Sakharov, at the Berlin conference. There is little scope to dismiss the Homeland plan as impractical and unfeasible. 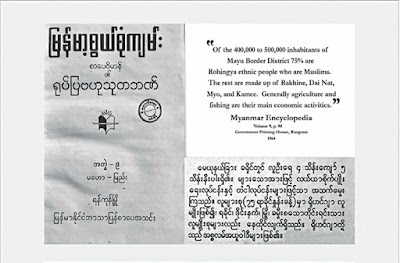 As has been noted by Rohingya specialist Maung Zarni, the idea of “a home for Rohingya is rooted in the Burmese official documents including Encyclopaedia which defined officially Northern Arakan State (of Mayu Frontier area) as Rohingya homeland (1964) and Myanmar Ministry of Defence's highest leadership spelled this out in July 1961 during the Mujahideen's surrender.” Zarni provides documentary evidence to back his statement and argues that as part of a surrender deal, the military leadership in Rangoon gave in to the Mujahideen's demand to keep Mayu district out of Akyab (Sittwe) based Rakhine control. 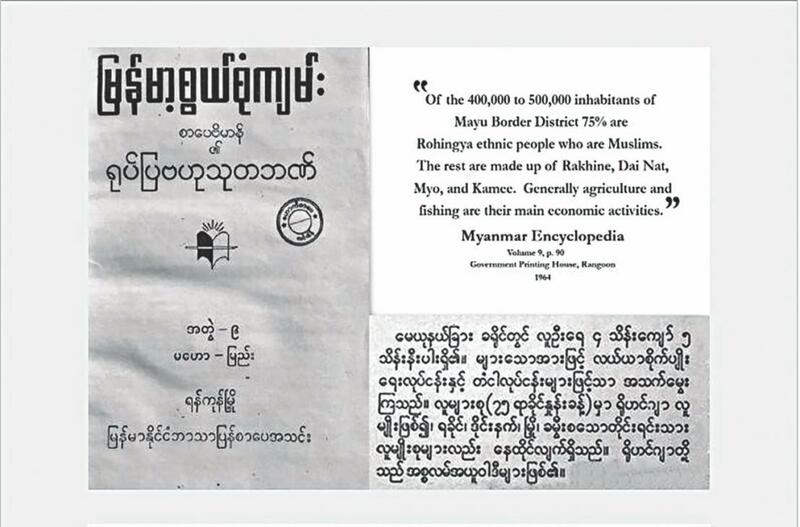 This suited the military's own agenda of keeping Rakhine nationalists in check. The first founding chief administrator of this homeland for Rohingyas was the then young Lt-Colonel Tin Oo, now 95-year-old Vice Chair of the ruling National League for Democracy, the oldest colleague of Counsellor Aung San Suu Kyi. The unwillingness of the Burmese state to provide protection to the Rohingya has necessitated the need for international protection of the designated homeland that very much existed four decades ago.